WE’RE not sure this is entirely the right time or place to admit this, but just so you know... Archie from EASTENDERS...? We probably would. Well, maybe. There. It’s out in the open and we can’t take it back now. For an old cardi-wearing guy, he is seriously tasty. In fact, he’s turning into one of our favourite characters, the manipulative swine. And we’re getting increasingly concerned that just when they’ve built him up into a fabulous villain, they’re going to ham it all up with THAT wedding next week. Please don’t write him out or kill him off or make him have to leave. We want him to stay. We’ll even forgive him that he’s responsible for YET AGAIN preventing Danielle from telling Ronnie the worst-kept secret in the history of soap. Incidentally, those lavish-looking trailers for the wedding next week. What the flip is that all about? They probably cost more than Dot Cotton’s entire salary for the last 12 months. And she’s up for a Bafta (though Lord only knows why, actually). Elsewhere this week we welcomed the marvellous Edward Woodward into the show. He’s got four Ds in his name, you know. Otherwise he’d be called E-war-woo-war. What do you call a man with a wooden head? Edward. What do you call a man with three wooden heads? Edward Woodward. There you go – this is officially the funniest Soapsuds columns we’ve ever written now. Over on CORONATION STREET, Gail "Tough Love" Platt has finally done what she should have done years ago. Yes, instead of blinking at David in a reproachful way, she’s finally kicked him into obli vion. Well, Liverpool. With her ex, Martin. Same thing. Phew! Now we can maybe all move on from perjury and juvenile detention plotlines. Because we’re not sure about you, but after all that Julie Myerson stuff in the tabloids, we’re heartily sick of middle-class mums bleating on about their tearaway sons. 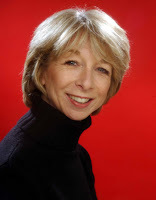 Actually, does Gail Platt count as middle class? Well, Audrey would certainly like to think so. Anyway, after Corrie’s brief day in the sun last week with Becky’s wedding, we’re back to the usual nonsense we’ve seen too much of lately. Joe, Gail’s man-of-the-moment (who comes complete with Martin Platt’s hair-gelled hedgehog do) jeopardised the relationship by accepting a job from the Windasses – the same family whose refusal to pay up for their kitchen sent his business spiralling downhill in the first place. And that’s not the only thing that makes no sense. Namely Tony and whatserface (Natasha, is it?) Why should we care? As for Poppy, that new barmaid, is it just us or do you see her and think "Five o’ clock shadow"? Maybe it’s just us.